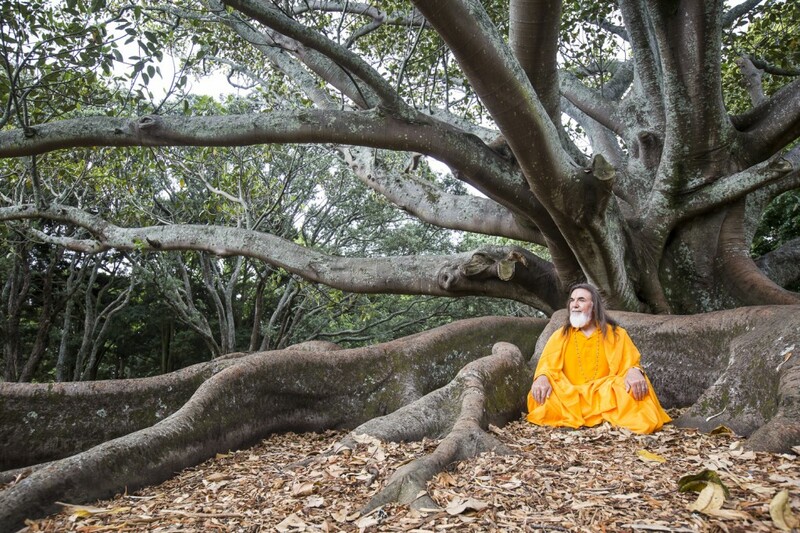 Swami Ji is based in New Zealand, and is a gifted, wonderful speaker who travels the world giving profound, inspiring talks and workshops on yoga philosophy and meditation. As part of these programs he also gives kirtan chanting meditation. He brings his experience and knowledge of yoga wisdom into yoga studios in a very special, practical, and inspiring way. Numerous people have enriched their lives by attending his classes. Swami Govindananda is the founder of Ji Living – Think Well. Though a Westerner he lived many years in India learning personally from the great Master, Jagadguru Shri Kripalu Ji Maharaj. Swami Ji specialises on teaching the essence of the great Indian scriptures known as the Vedas, Gita, Bhagawatam and Ramayan; focusing on the philosophies of Karma, Gyan and Bhakti Yoga. With this blend of cultures, Swami Ji brings extraordinary clarity to the complex and timeless philosophies of India, making this knowledge easy to understand in a way that has rarely been seen in the West. He embodies positive spirituality, showing how we can all live joyous lives while moving towards our fullest potential. Swami Ji has presented lectures at the Asia Yoga Conference in Hong Kong in 2012, 2013, 2014 & again this year, and he will be presenting there this year also. He has also been involved in the Taipei Yogalife conference in April 2014, and he has presented at the Wanderlust Festival in Taupo, NZ in January 2015 & Sydney, Australia in February 2015, and he will be presenting meditation classes at Wanderlust Festival in Squaw Valley in July this year. He also works closely with some of the top yoga studios in Singapore (Pure Yoga) and Australia (Power Living Yoga Australia & InYoga). Urban Yoga Phoenix invites you to attend these special events with Swami Govindananda where he will bring you extraordinary understanding of your life, of your self, and of the world around you. It is an opportunity to gain true perspective of everything you hold dear. Join us for our evening intro session, open to all! Enjoy an inspiring talk by Swami Ji, a short meditation, followed by refreshments. From the moment we wake up and arise from our beds, there is a subtle compulsion to find joy and happiness in everything that we do. This feeling flows through our whole life, yet we never realize its fullest potential. The Yogis and Sages however, tell us that happiness can be an ever-increasing experience, it can blissful, and is available for everyone. It was just a memory ago when you were but a small child, and it is merely a memory away when you will be old, bent and grey! How quickly this precious life passes! Moreover it can end at any moment. Life is uncertain. Yet it is precious, remarkable and full of profound potential. 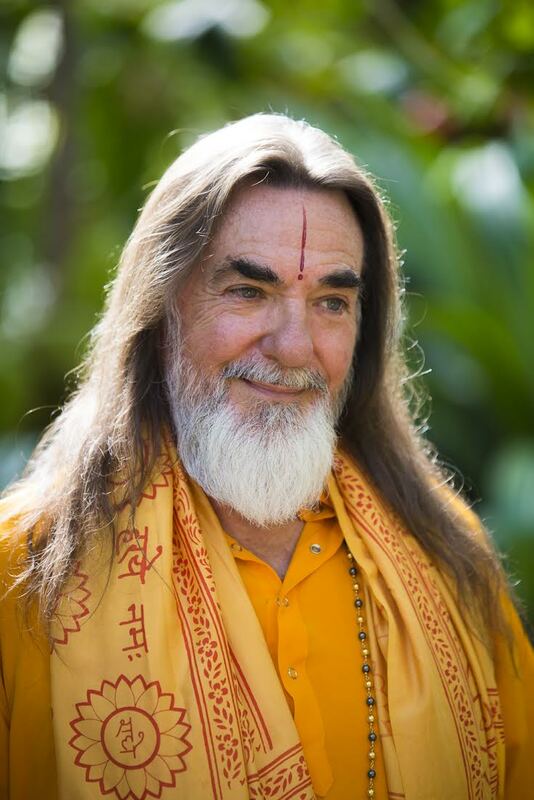 Drawing from time honoured teachings like the Gita and Vedas, Swami Govindananda will outline the big picture of life, giving you a greater sense of purpose, understanding of your inner self, and of the world around you; knowledge which goes right to the heart of your being. All of Swami Ji’s programs include traditional kirtan meditation, assisted by Carmen. This meditation is considered by the Sages and Saints of India to be the easiest and most enjoyable way of entering a meditative state, a meditation that has been used for thousands of years all over the world, and continues to be used today. It is a chance to quiet the mind, remove obstacles, and bring you back to the center of your being.